Will giant man-bat creatures threaten Riot Fest? When preparing for a music festival you have to deal with factors like inclement weather, bands pulling out, malfunctioning equipment and other logistical components, but will this year's Riot Fest have to plan accordingly for giant man-bats? Summer sightings of large bats have been been rampant in Chicago and the surrounding suburbs including an account that happened right after the popular music fest Lollapalooza in August. The reports all detail a giant, flying bat-like creature with massive wingspans, glowing red eyes, and humanoid features terrorizing witnesses. If you look at the timeline of the occurrences of these man-bat (no, not the Batman villain) creatures they seem to coincide with similar sightings of the Mothman in Chicago. Could these sightings simply be people seeing the same thing? What people are seeing could quite possibly be the same, as witness reports of both Mothman and these menacing bats both cite large wings, human-like features and a larger-than-life frame. Or could these beings be something entirely paranormal and not a cryptid? "I believe that the sightings may actually be extra-dimensional beings that have entered out earth plane through portals or wormholes," said Lon Strickler of phantomsandmonsters.com , who has been collecting sightings and reports of these giant bats. Whatever these creatures are don't let it deter you from Riot Fest, as this year's lineup boasts the Jawbreaker reunion and a bill that includes Paramore, Nine Inch Nails, Taking Back Sunday, Mighty Mighty Bosstones, Wu-Tang Clan, New Found Glory, the Lawrence Arms and others performing Sept 15-17. Punk rock and UFOs previously attended three Riot Fests (Chicago and Denver) and it is always one of the best festival experiences and the lineup is always stacked, so go and have fun even if giant bat monsters may be flying overhead. 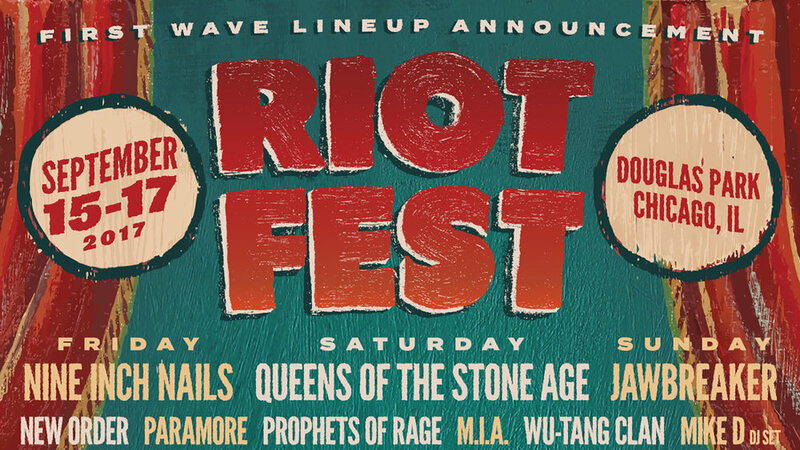 "We have insurance for these kinds of things," said a source from Riot Fest communicated via publicist Heather West. " Bring it on, bat-Like humanoids!"